What is AQUA Intelligence ? AQUA Intelligence is a data-driven platform on the blockchain that enables consumers to monetize and validate their personal data. 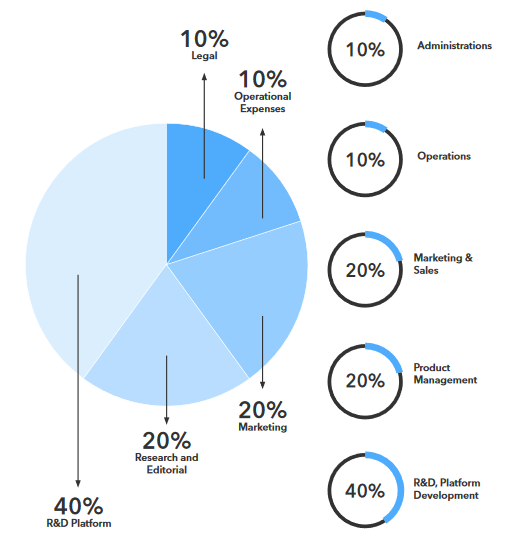 Based on trusted data and other sources, AQUA Intelligence creates the most comprehensive and decentralized profile for each consumer. By leveraging Artificial Intelligence (AI) along with additional tools, the comprehensive profiles allow hotels and other businesses to improve their sales, boost operational efficiency, increase profits and enhance the consumer’s overall experience. Consumers can earn AQX, a utility token, by becoming a member of AQUA Mobile, providing data inputs, validating existing information on them and participating in surveys and other activities. 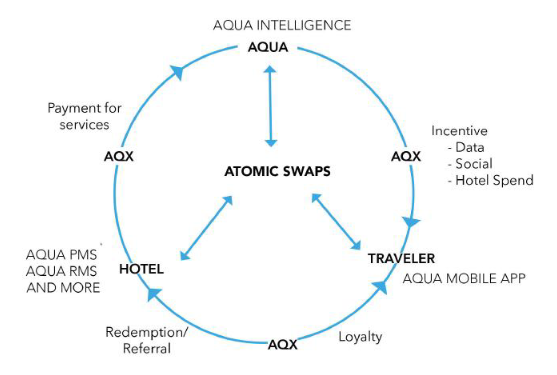 The AQX Tokens can be converted into loyalty points and pay for products and services of participating hotels and businesses. 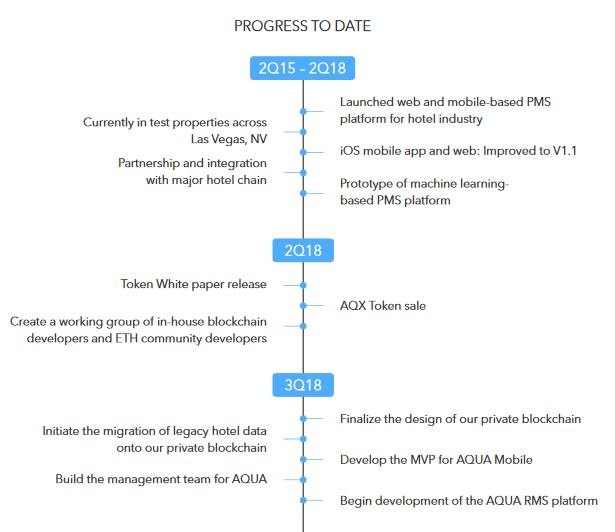 Consumers can also use AQUA Mobile to centrally manage all their travel or dining reservations and loyalty points, have travel related questions answered and interact with other members of the community. AQUA Mobile will become a popular App for travelers and consumers. As the tourism and travel industries continue to prosper as one of the fastest growing sectors1 in the global economy, competition is becoming fiercer. Possessing a competitive advantage is the key to success for those hospitality vendors who often rely on data that is incomplete, inaccurate and unorganized. Hotels are not only competing against each other, they are also competing with third-party online travel aggregators and agencies, such as Expedia, Travelocity and Orbitz. 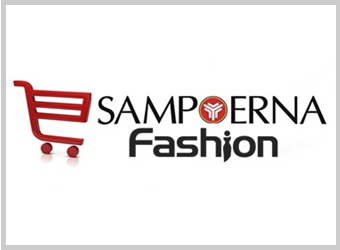 Therefore, it is critical for hotels to generate innovative and meaningful offers to consumers. 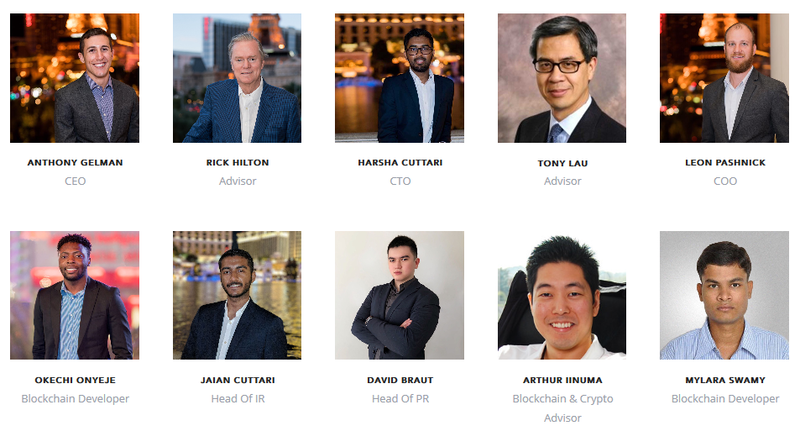 At the core of AQUA’s technological infrastructure is AQUA Chain, a private decentralized ledger warehousing all transactions aggregated by AQUA’s technology framework, software products, and contributing partners. AQUA Chain’s transactional data is designed to be exclusively populated by AQUA, via a Smart Contract that requests data from AQUA’s software products, then is responsible for publishing the data to the AQUA Chain. The Smart Contract is open-sourced to enable transparency into the code base responsible for requesting and publishing of data to the network. AQUA will initially perform a data aggregation exercise to collect and store available data that is recorded from our current software products and other data sources which will then be pipelined into a standard database. Once the data has been organized and reviewed for quality (i.e., assure that there are no duplicate entries or erroneous information), AQUA will execute the software code in the Smart Contract and allow for an initial set of data to be populated into the blockchain. This data is provided by AQUA’s proprietary data aggregation technology and is further pruned to eliminate the source of the data such that only the transactional portion of the data is preserved and written to the blockchain. This action helps to anonymize the origin of the data, while still providing relevant and meaningful information about a particular individual. 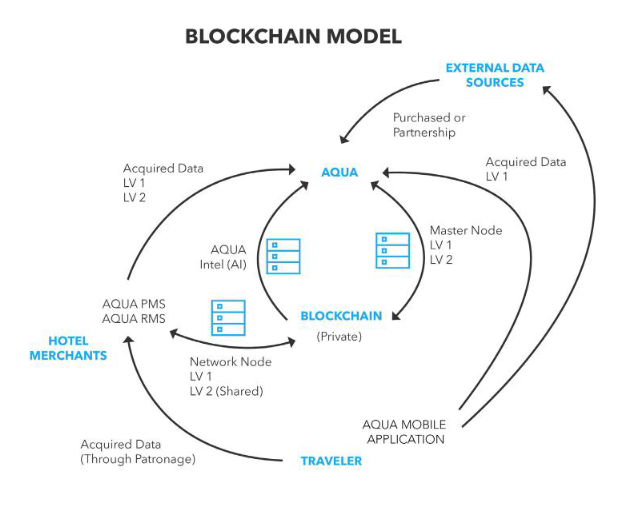 Although the incredible potential around a token economy is only possible through blockchain technology, AQUA recognizes that many of its participants may not completely understand the proprietary nature of the ecosystem. Since a major function of AQUA’s proposed use of its token relies on the transfer of tokens between various counterparts, a token wallet is an essential part of the infrastructure. AQUA will simplify participation in its network by automatically generating and securing addresses whenever they are needed. For example, in AQUA Mobile, every user will have an automatically generated wallet address upon account opening, requiring virtually no additional setup from the user. The transmission of tokens to and from this wallet is based on interaction with other participants and will occur in a seamless manner. The same will be the case for business accounts used to pay for AQUA’s enterprise software products or data. In order to perform a certain level of automation and reduce the complexity of knowledge and setup to the end user, AQUA will initially retain the private keys for all wallets generated within its system; this will enable autonomous administration of the wallets at the cost of some centralization. These keys will be held offline, air-gapped, and placed in cold storage to maximize security. AQUA’s wallet software will be capable of publishing transactions to the Ethereum Mainnet, assuring that transactions are adequately gassed for proper transaction time and handling, while keeping track of all customer balances. The software will also have the ability to read into the blockchain to verify that a transaction was confirmed by the network. In its vision to create a simplified User Experience, it is AQUA’s goal to pay special attention to how wallets are managed to ensure a streamlined experience for our users. 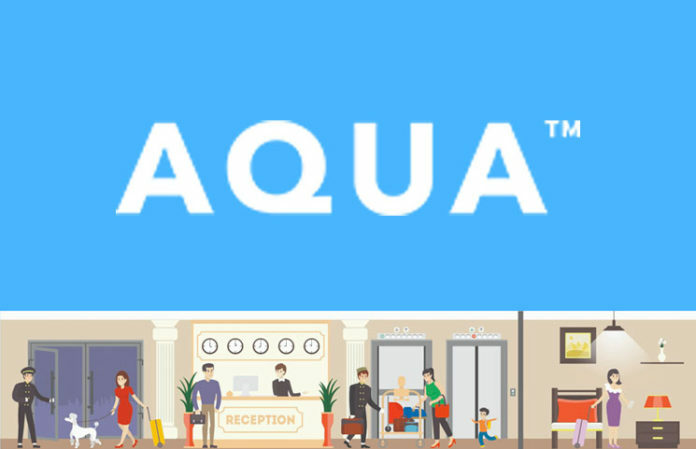 AQUA Token (AQX) is an ERC20 compliant utility based token that powers the AQUA ecosystem and is the hallmark product of the AQUA brand. AQX seeks to improve the liquidity and fungibility of the current hospitality reward and currency system by using AQX as a medium of conversion and exchange within the ecosystem. Furthermore, AQX can be used as its own discrete currency for our retail, travel and hospitality partners along with participating entertainment and leisure destinations. The token sale will fund the full development and adoption of the AQUA Intelligence network. The sale began on May 07, 2018, and will end on September 30, 2018, or when the hard cap of USD $50M is reached. The total supply of tokens will be 500,000,000: 45% of the total supply of AQX will be distributed during the token crowdsale. At the start of the token sale, each AQX token will be priced at $0.25. Bonuses will be available on a sliding scale depending on the period of purchase (see below). There will be no bonus for the final month of the token sale. Tokens will be transferred once the token sale has ended. The total supply of AQX Tokens available will be 500,000,000, of which 45% will be allocated to the token sale. 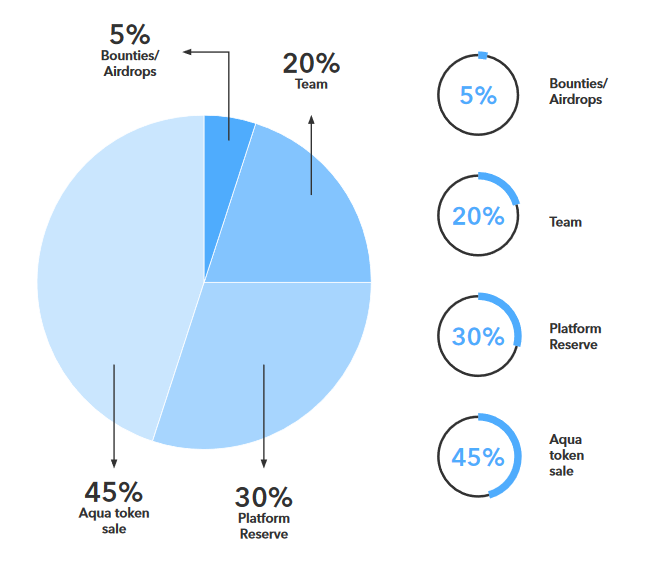 Funds raised during the AQX Token Sale will be used for the development of AQUA Intelligence and for the ongoing expenses required to support the growth of the ecosystem. The roadmap below is subject to change, especially as market conditions fluctuate, the competitive landscape shifts, and user demand changes. 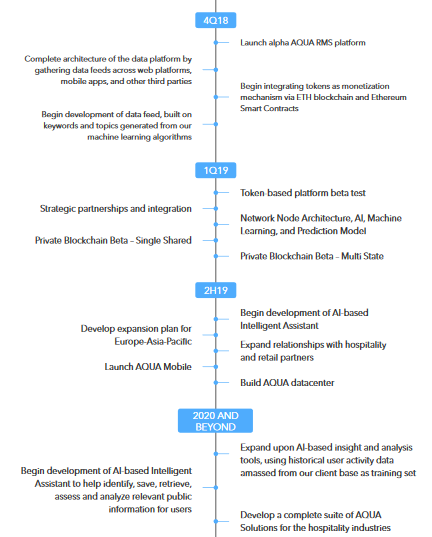 The roadmap is intended as an outline for how AQUA Intelligence plans to continue extending and expanding the platform to achieve the overarching goal of solving the current problems discussed in the above sections.